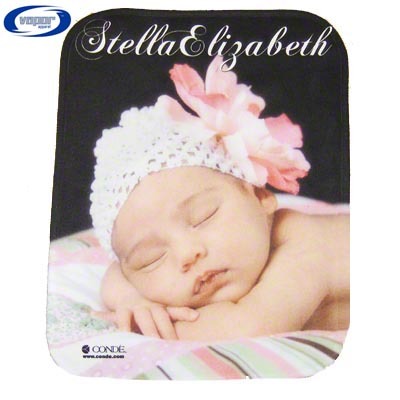 These adorable baby items make great shower and birthday gifts and nobody can buy just one! 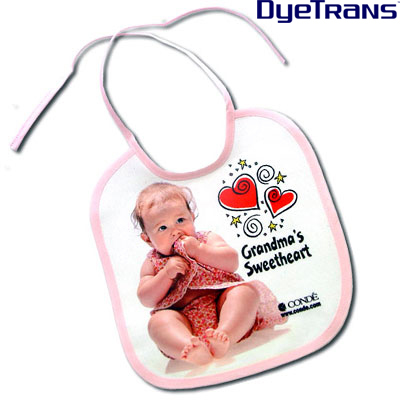 They are a durable and beautiful way to keep baby neat. 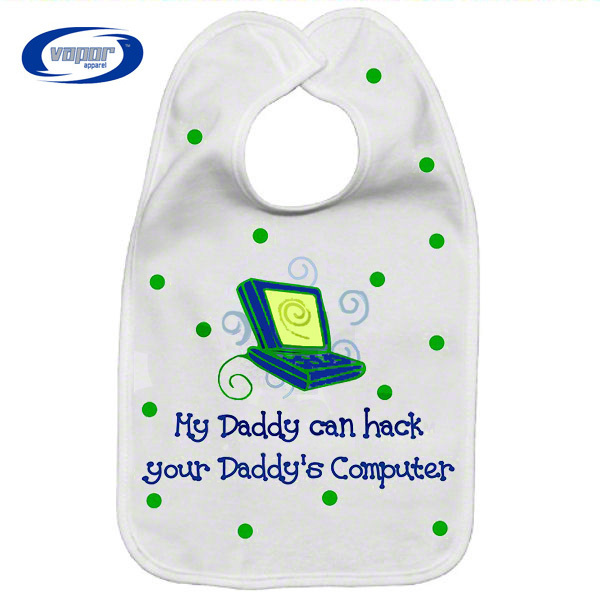 Baby bibs are available in Vapor® fleece or polyester with cotton trim and string tie enclosure. They are also machine washable. The Vapor® Apparel burp cloth is also sublimatible fleece and there is a matching baby blanket on the Blanket webpage. 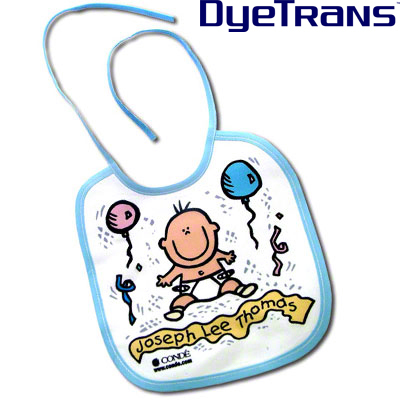 Vapor Sublimation Blank Fleece Baby Bib - 8.75" x 14.25"
Vapor Sublimation Blank Fleece Burp Cloth - 12" x 16"